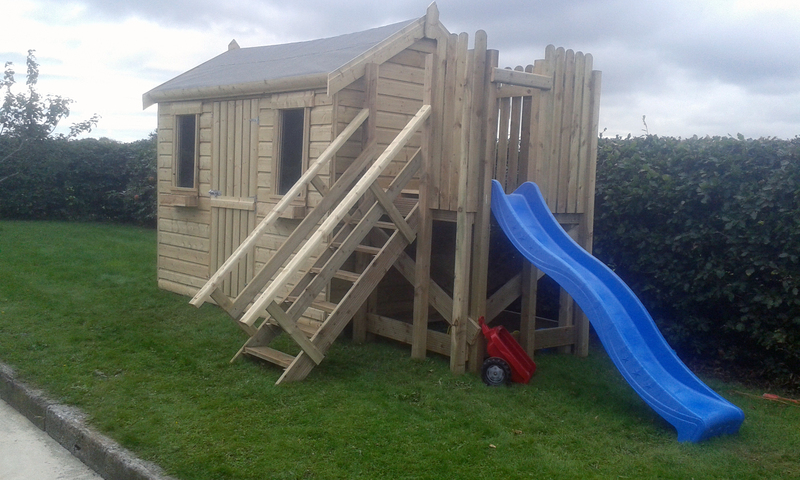 ShedWorld Playhouses are the ideal spot for your children to play in safety and comfort. 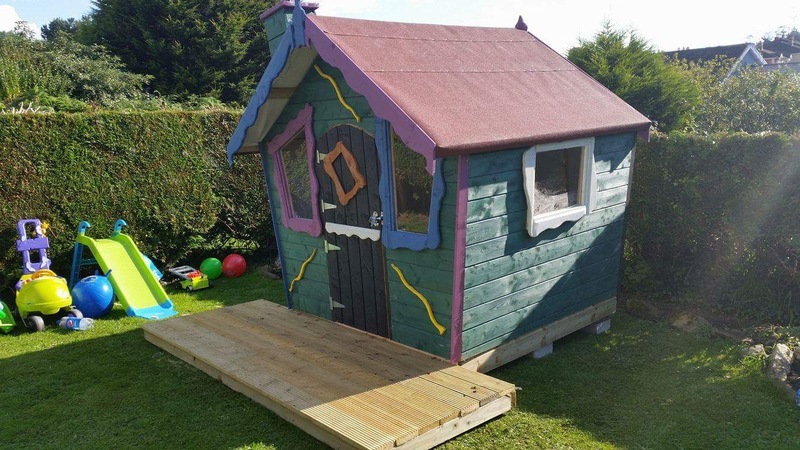 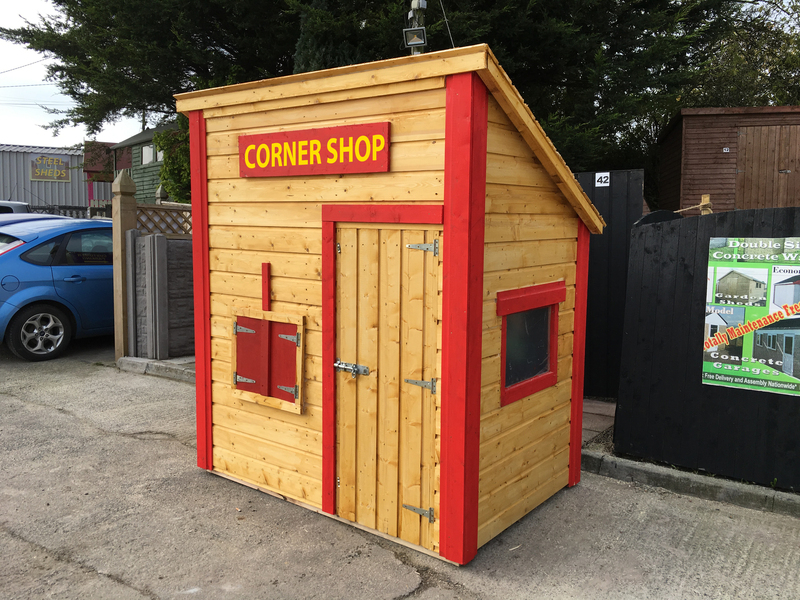 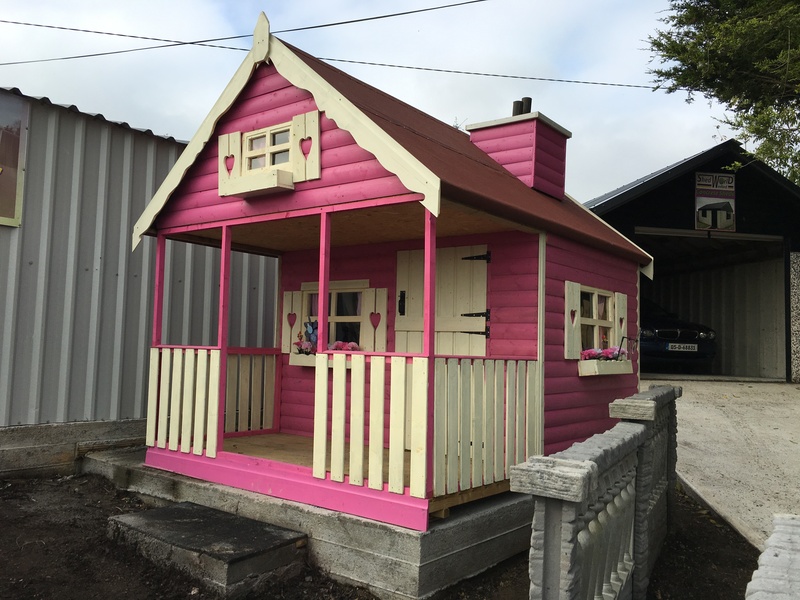 Brightly coloured and scaled to suit children of all ages, our playhouses will make the perfect garden house or secret den! 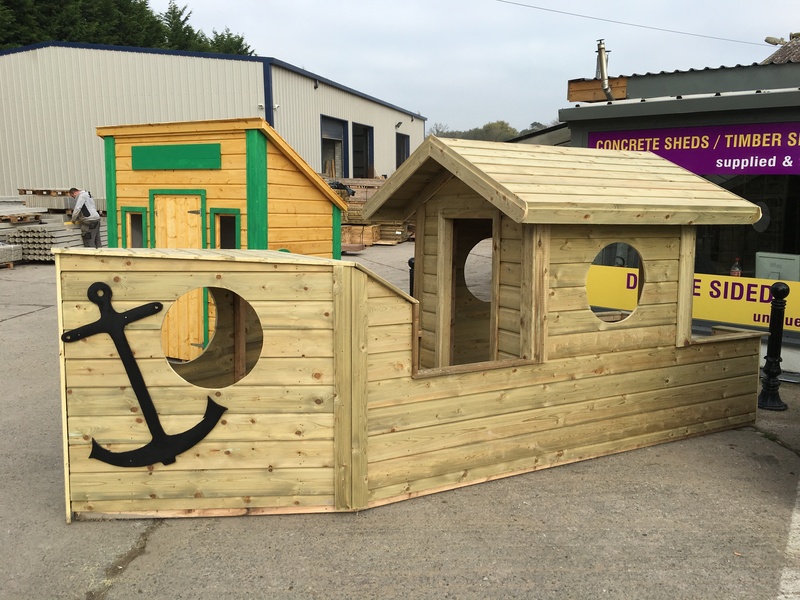 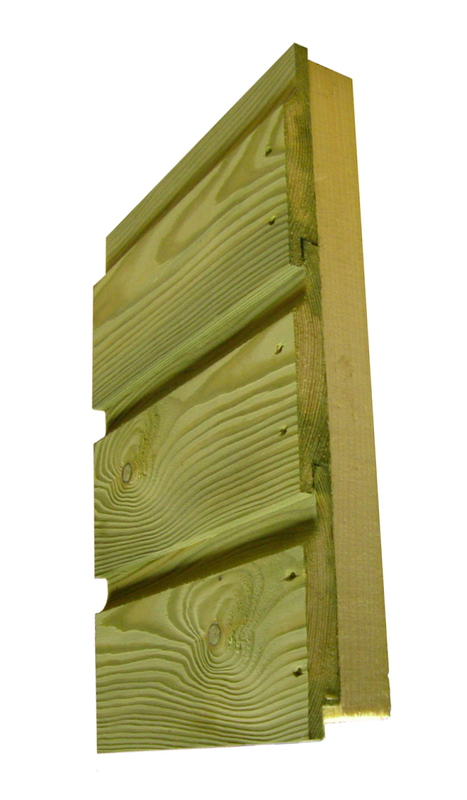 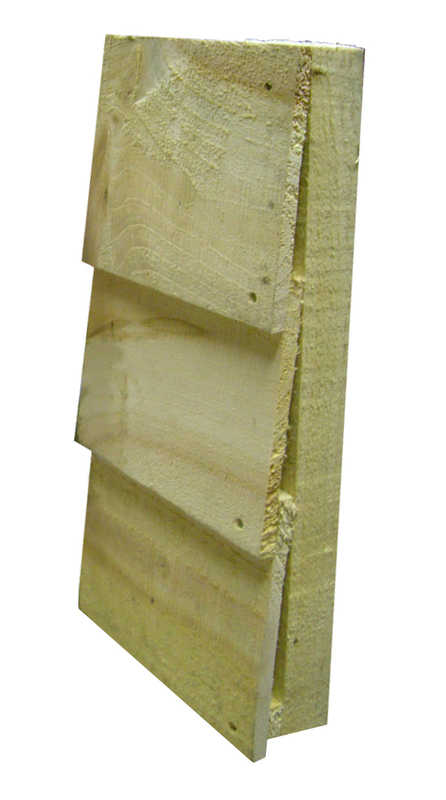 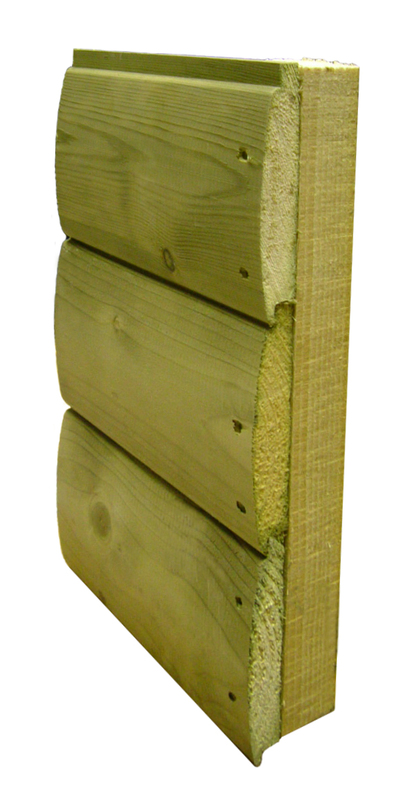 All of our PlayHouses are constructed from the very best timber stock and are manufactured to exacting standards to ensure your children's safety as they play. 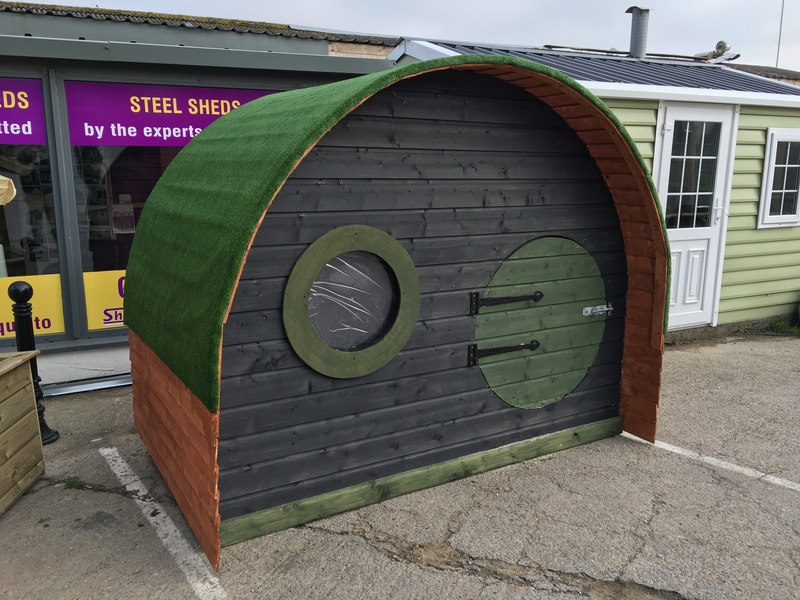 If you are looking for something different, that is not listed here, then by all means Contact Us and tell us what it is you are looking for. 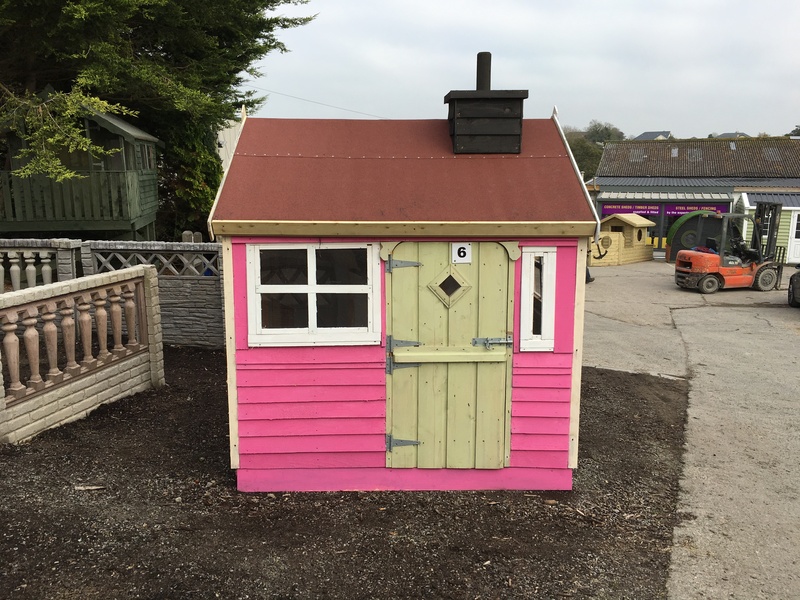 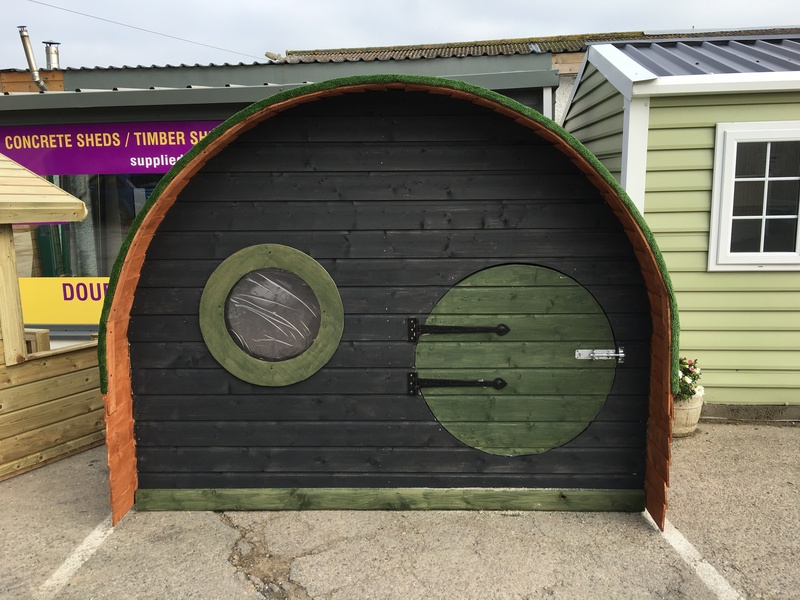 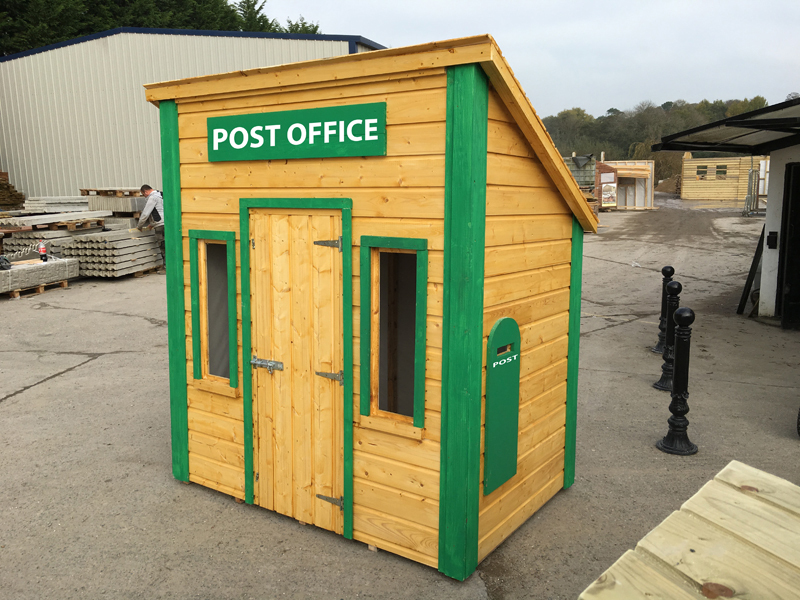 ShedWorld's staff pride themselves on being more than willing to work with our customers to manufacture the shed or playhouse that they want. 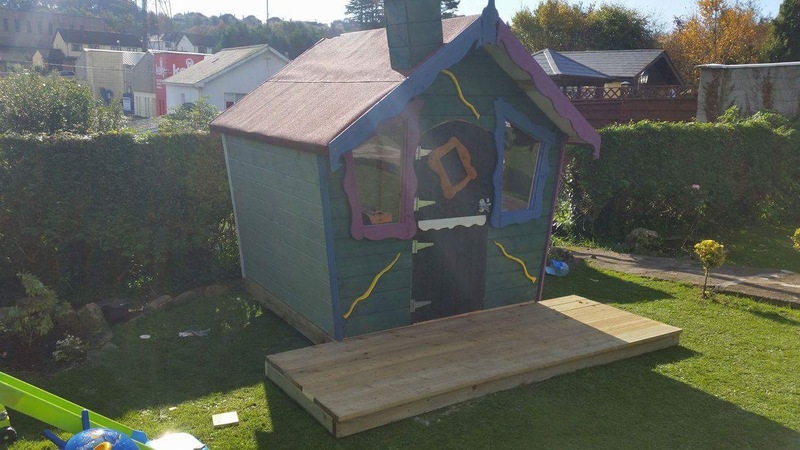 Quotations for custom playhouse designs are always free. 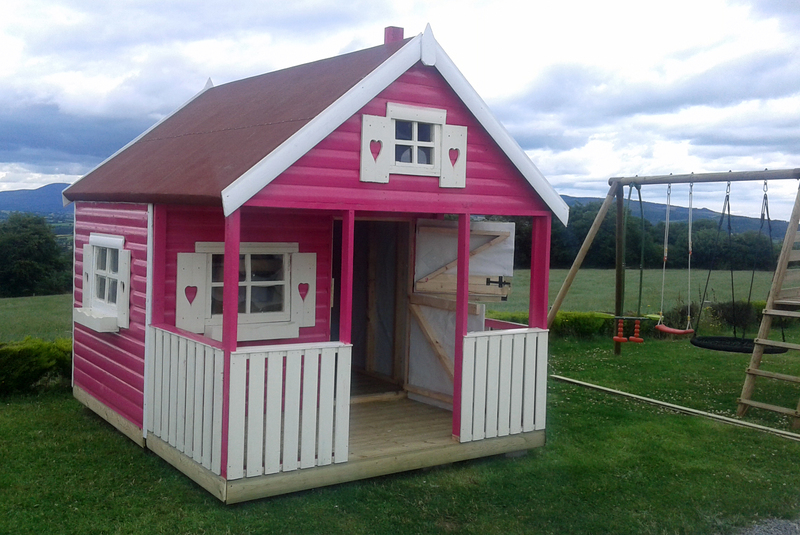 ShedWorld Playhouses are available in three different timber finishes, with prices and styles to suit all budgets and personal tastes. 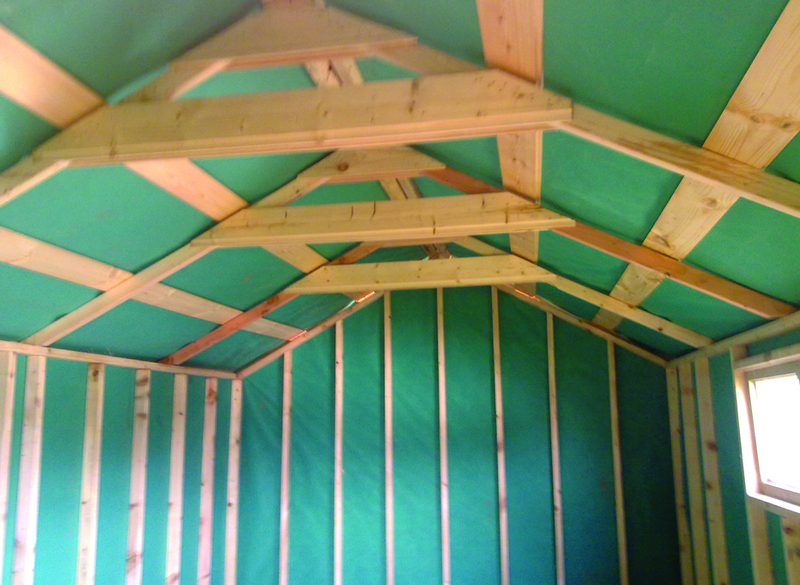 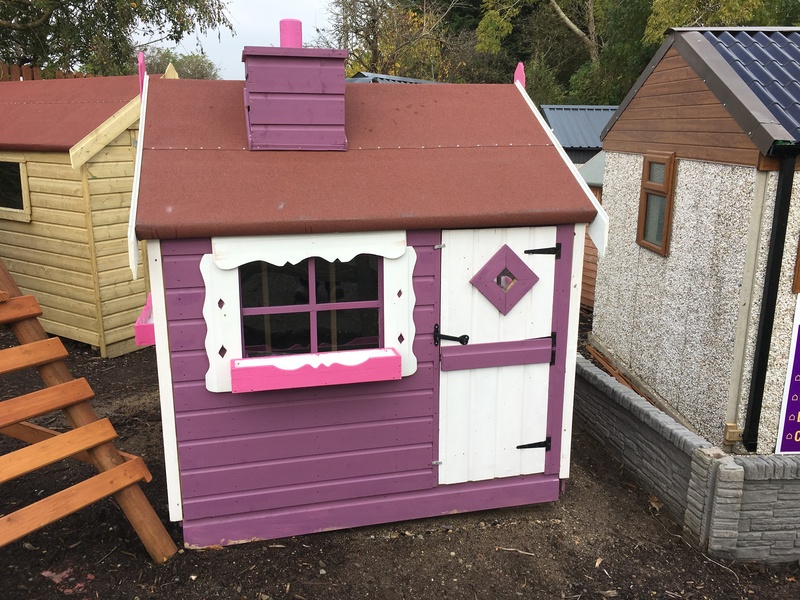 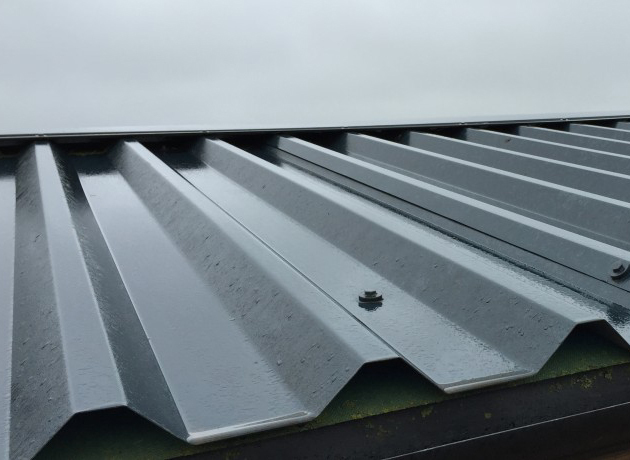 Customers should note that ShedWorld quotes Playhouse sizes based on roof space, or to put it another way, based on the area of your garden that they will cover. 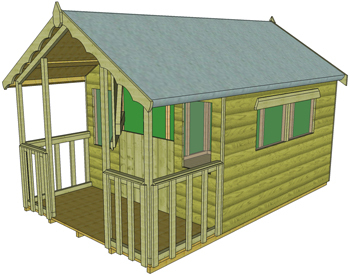 With playhouses, this measurement will always INCLUDE the verandah, meaning that the size of the actual shed will be smaller. 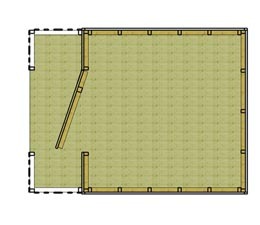 The image below illustrates this. 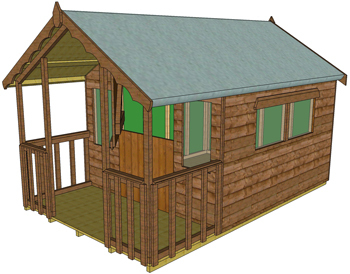 For more information, please read our FAQ or Contact Us directly. 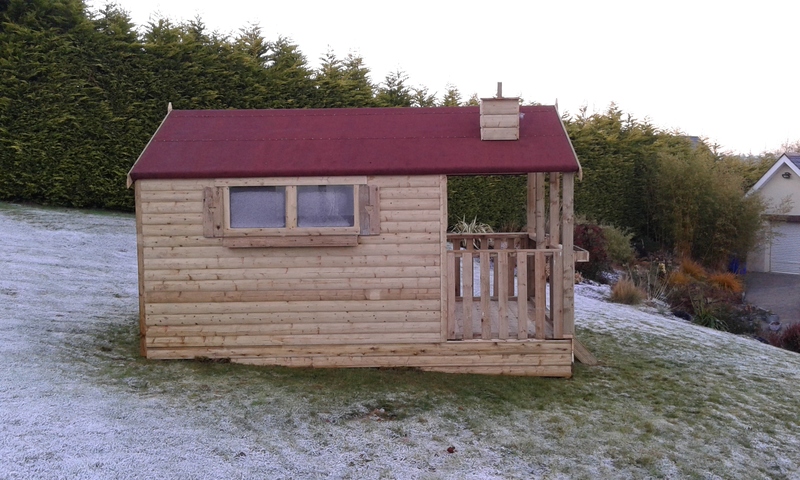 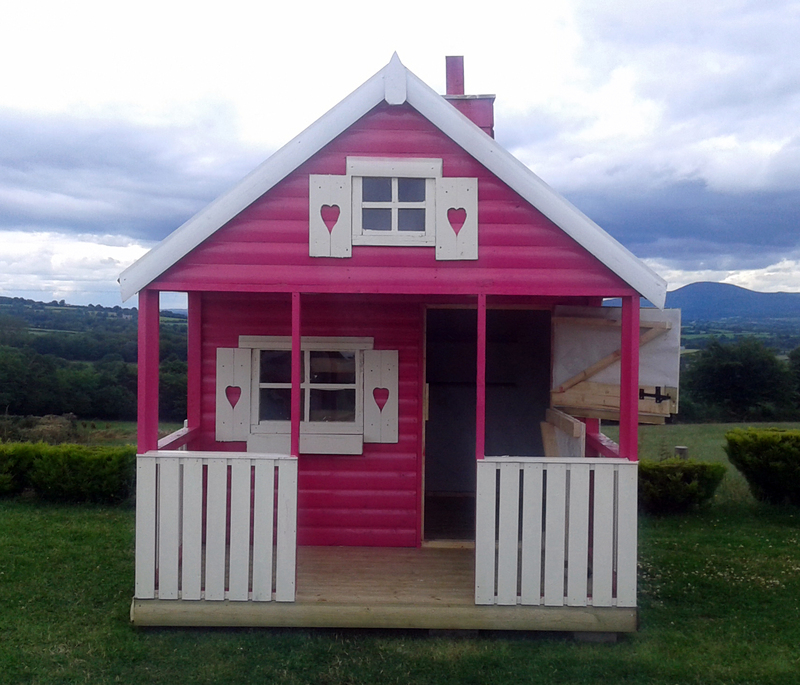 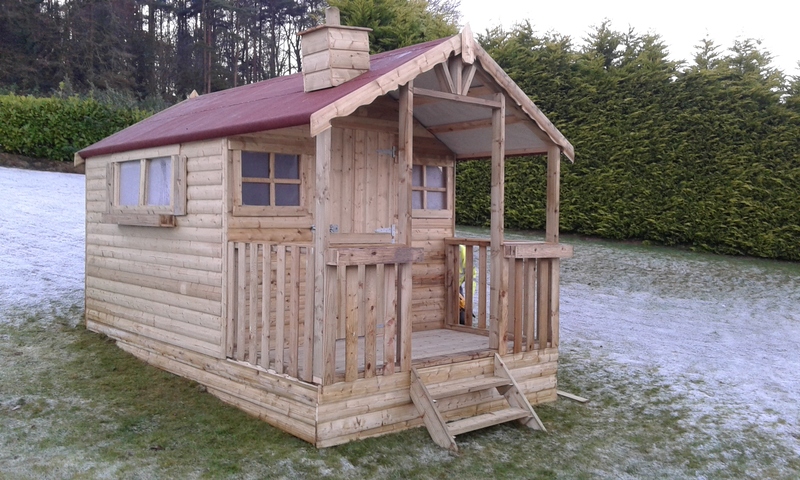 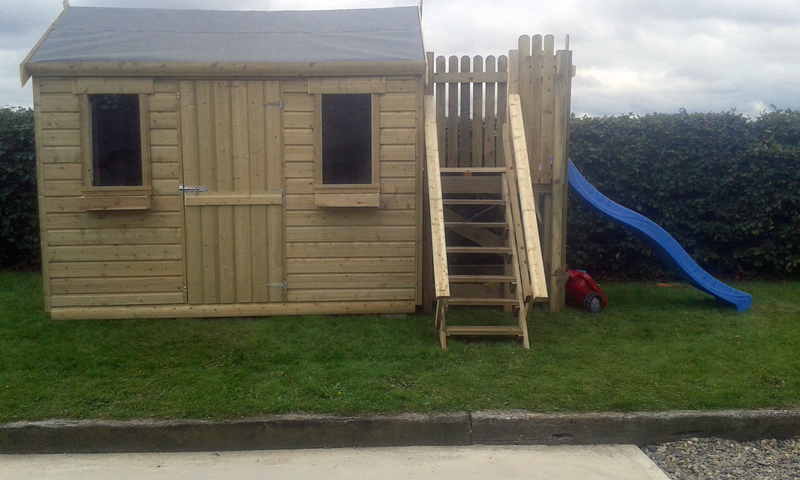 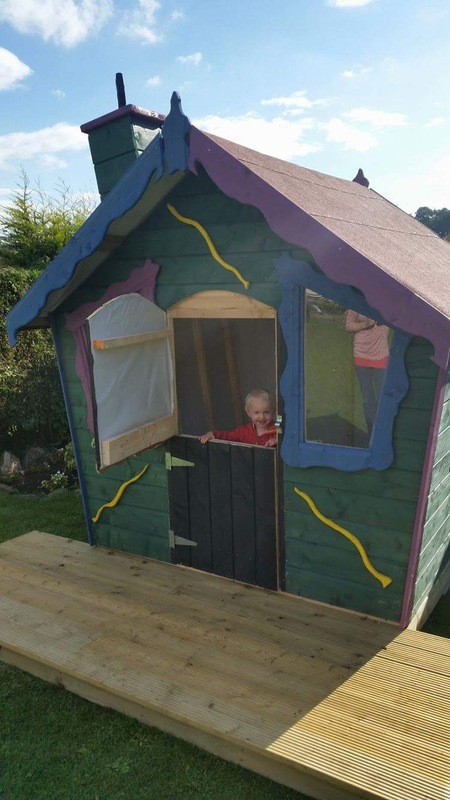 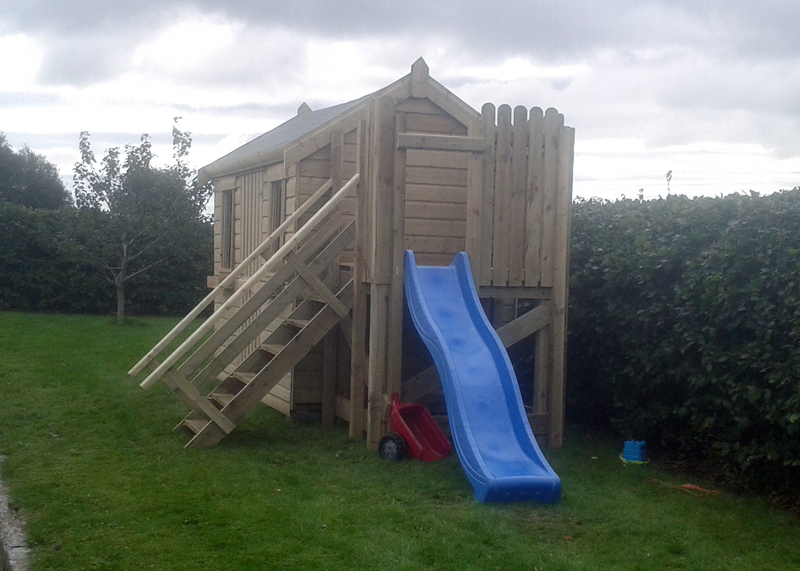 ShedWorld Playhouses are available, delivered and erected, throughout Ireland. 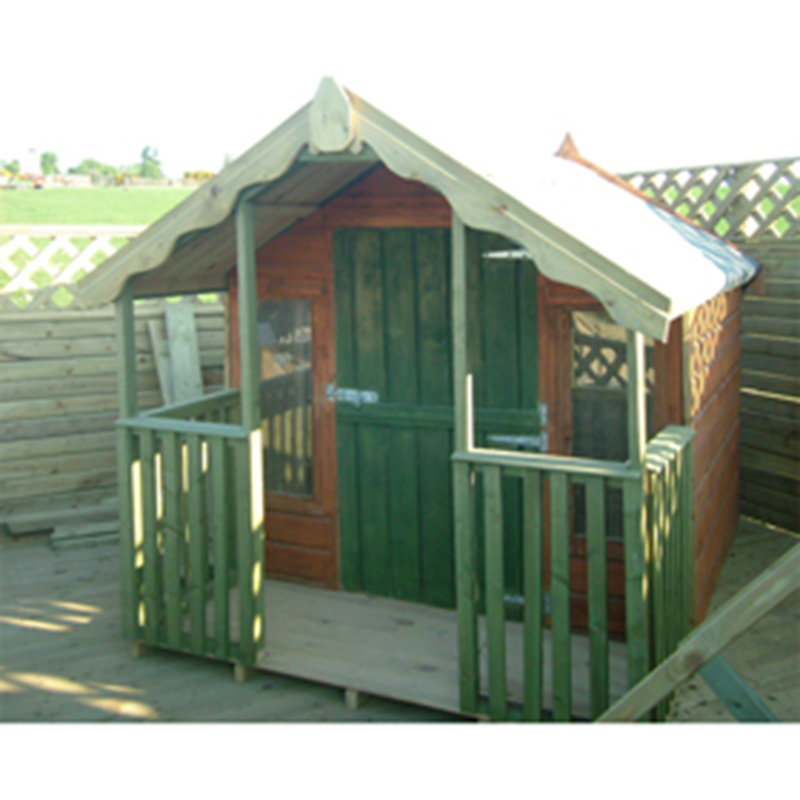 With years of experience, our highly trained staff can erect a standard garden shed in your garden in less than 1 hour.